Posted by admin in activity reports, Ambrym, Batu Tara, Caribbean, Colombia, Dukono, eruptions, Galeras, Hawaii, Indonesia, Japan, Kamchatka, Karymsky, Kilauea, Kliuchevskoi, Mexico, Nicaragua, Pacific, Pagan, Papua New Guinea, Popocatépetl, Russia, Sakura-jima, San Cristóbal, Sangay, Shiveluch, Soufrière Hills, Suwanose-jima, Ulawun, United States, Vanuatu, Weekly Volcanic Activity Reports. Click on the map for a larger version (1280 x 898 pixels). The Smithsonian Institution/United States Geological Survey Weekly Volcanic Activity Report for 18-24 August 2010 is now available on the Global Volcanism Program website. The following is a summary and not a substitute for the full report. Ongoing activity: Ambrym (Vanuatu), Batu Tara (Indonesia), Dukono (Indonesia), Karymsky (Russia), Kilauea (Hawaii USA), Kliuchevskoi (Russia), Pagan (Mariana Islands), Popocatépetl (Mexico), Sakura-jima (Japan), San Cristóbal (Nicaragua), Sangay (Ecuador), Shiveluch (Russia), Soufrière Hills (Montserrat), Suwanose-jima (Japan), Ulawun (Papua New Guinea). Note: a.s.l. = ‘above sea level’. Posted by admin in activity reports, Batu Tara, Caribbean, Colombia, eruptions, Fuego, Gorely, Guatemala, Hawaii, Indonesia, Japan, Kamchatka, Karymsky, Kilauea, Kliuchevskoi, Nevado del Ruiz, Pacaya, Russia, Sakura-jima, Santa María, Shiveluch, Soufrière Hills, Suwanose-jima, Tungurahua, Ubinas, United States, volcanoes, Weekly Volcanic Activity Reports. The Smithsonian Institution/United States Geological Survey Weekly Volcanic Activity Report for 14-20 July 2010 is now available on the Global Volcanism Program website. The following is a summary and not a substitute for the full report. New activity/unrest: Gorely (Russia), Soufrière Hills (Montserrat), Ubinas (Peru). 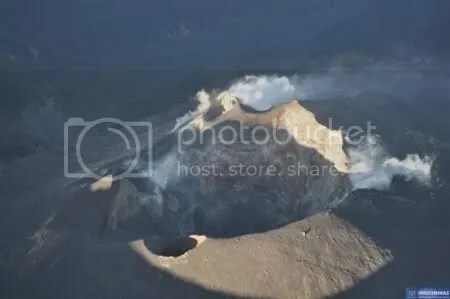 Ongoing activity: Batu Tara (Indonesia), Fuego (Guatemala), Karymsky (Russia), Kilauea (Hawaii USA), Kliuchevskoi (Russia), Nevado del Ruiz (Colombia), Pacaya (Guatemala), Sakura-jima (Japan), Santa María (Guatemala), Shiveluch (Russia), Suwanose-jima (Japan), Tungurahua (Ecuador). Posted by admin in activity reports, Batu Tara, Caribbean, Colombia, Dukono, Ecuador, eruptions, Etna, Gaua, Gorely, Guatemala, Hawaii, Indonesia, Ioto, Italy, Japan, Kamchatka, Karymsky, Kilauea, Kliuchevskoi, Nevado del Huila, Pacaya, Papua New Guinea, Russia, Sakura-jima, Shiveluch, Soufrière Hills, Tiatia, Tungurahua, Ulawun, United States, Vanuatu, Weekly Volcanic Activity Reports. The Smithsonian Institution/United States Geological Survey Weekly Volcanic Activity Report for 16-22 June 2010 is now available on the Global Volcanism Program website. The following is a summary and not a substitute for the full report. 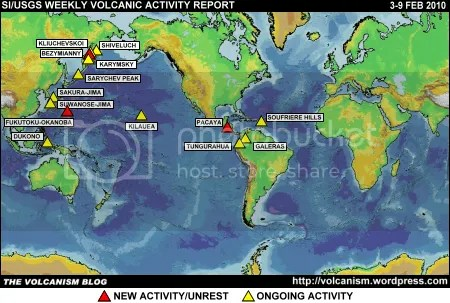 New activity/unrest: Etna (Italy), Gorely (Russia), Ioto (Japan), Nevado del Huila (Colombia), Pacaya (Guatemala), Tiatia (Russia), Tungurahua (Ecuador), Ulawun (Papua New Guinea). 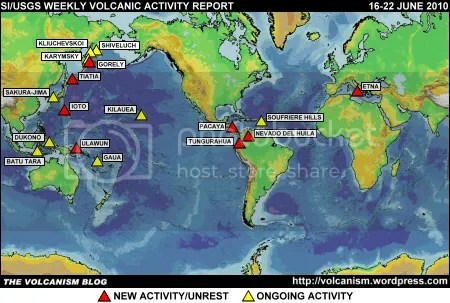 Ongoing activity: Batu Tara (Indonesia), Dukono (Indonesia), Gaua (Vanuatu), Karymsky (Russia), Kilauea (Hawaii USA), Kliuchevskoi (Russia), Sakura-jima (Japan), Shiveluch (Russia), Soufrière Hills (Montserrat). 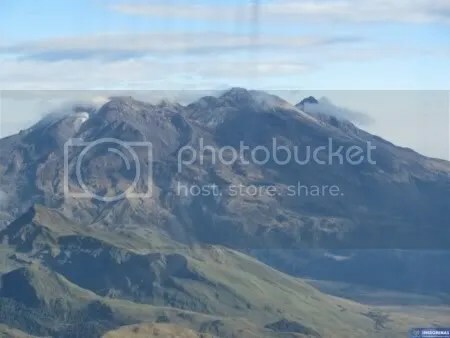 Posted by admin in activity reports, Bagana, Bezymianny, Caribbean, Chaitén, Chile, Colombia, Dukono, Ecuador, eruptions, Guatemala, Hawaii, Indonesia, Japan, Kamchatka, Karangetang, Karymsky, Kilauea, Kliuchevskoi, Llaima, Nevado del Huila, Pacaya, Papua New Guinea, Russia, Sakura-jima, Shiveluch, Soufrière Hills, Suwanose-jima, Tiatia, Tungurahua, Ulawun, United States, Weekly Volcanic Activity Reports. 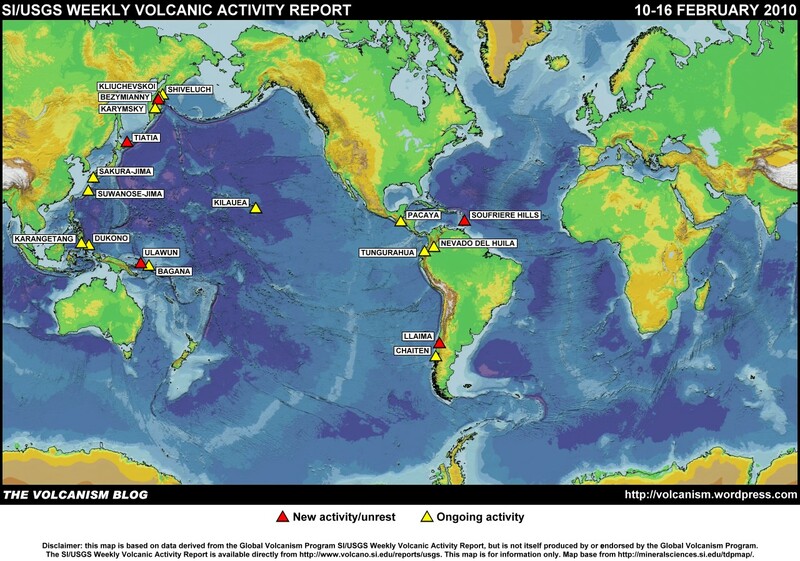 The Smithsonian Institution/United States Geological Survey Weekly Volcanic Activity Report for 10-16 February 2010 is now available on the Global Volcanism Program website. The following is a summary and not a substitute for the full report. New activity/unrest: Bezymianny (Russia), Llaima (Chile), Soufrière Hills (Montserrat), Tiatia (Russia), Ulawun (Papua New Guinea). Ongoing activity: Bagana (Papua New Guinea), Chaitén (Chile), Dukono (Indonesia), Karangetang [Api Siau] (Indonesia), Karymsky (Russia), Kilauea (Hawaii, USA), Kliuchevskoi (Russia), Nevado del Huila (Colombia), Pacaya (Guatemala), Sakura-jima (Japan), Shiveluch (Russia), Suwanose-jima (Japan) | Tungurahua (Ecuador). 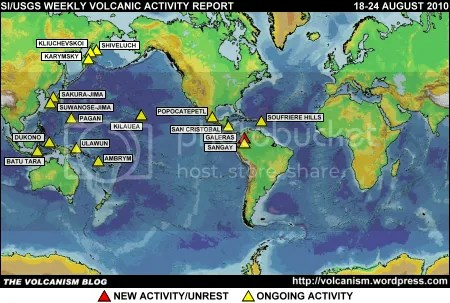 Posted by admin in activity reports, Bezymianny, Caribbean, Colombia, Dukono, Ecuador, eruptions, Fukutoku-Okanoba, Galeras, Guatemala, Hawaii, Indonesia, Japan, Kamchatka, Karymsky, Kilauea, Kliuchevskoi, Pacaya, Pacific, Russia, Sakura-jima, Sarychev Peak, Shiveluch, Soufrière Hills, Suwanose-jima, Tungurahua, United States, Weekly Volcanic Activity Reports. The Smithsonian Institution/United States Geological Survey Weekly Volcanic Activity Report for 3-9 February 2010 has been released but is not yet available on the Global Volcanism Program website because of technical problems caused by severe weather in the eastern United States. The following is a summary and not a substitute for the full report. The current report: not yet available. UPDATE: Smithsonian Institution/United States Geological Survey Weekly Volcanic Activity Report for 3-9 February 2010 is now available at the Global Volcanism Program website. New activity/unrest: Bezymianny (Russia), Fukutoku-Okanoba (Japan), Pacaya (Guatemala). 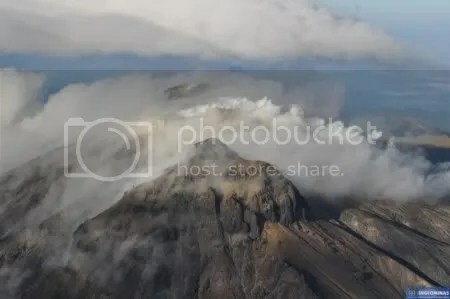 Ongoing activity: Dukono (Indonesia), Galeras (Colombia), Karymsky (Russia), Kilauea (Hawaii, USA), Kliuchevskoi (Russia), Sakura-jima (Japan), Sarychev Peak (Russia), Shiveluch (Russia), Soufrière Hills (Montserrat), Suwanose-jima (Japan), Tungurahua (Ecuador). Posted by admin in activity reports, Africa, Barren Island, Caribbean, Chaitén, Chile, Colombia, Congo (Dem. Rep.), Costa Rica, Ecuador, eruptions, Galeras, Guatemala, Hawaii, India, Indian Ocean, Indonesia, Japan, Kamchatka, Karymsky, Kilauea, Kliuchevskoi, Mayon, Nevado del Huila, Nyamuragira, Papua New Guinea, Philippines, Piton de la Fournaise, Rabaul, Rinjani, Russia, Sakura-jima, Sangay, Santa María, Shiveluch, Soufrière Hills, Suwanose-jima, Tungurahua, Turrialba, United States, Weekly Volcanic Activity Reports. Click on the map for a larger version (1280 x 898 pixels). The map title gives the end of the period covered as 6 January 2010, it should be 5 January 2010. Sorry about that. The Smithsonian Institution/United States Geological Survey Weekly Volcanic Activity Report for 30 December 2009 – 5 January 2010 is available on the Global Volcanism Program website. The following is a summary and not a substitute for the full report. New activity/unrest: Galeras (Colombia), Mayon (Philippines), Nyamuragira (Democratic Republic of Congo), Piton de la Fournaise (Réunion), Rinjani (Indonesia), Tungurahua (Ecuador), Turrialba (Costa Rica). Ongoing activity: Barren Island (India), Chaitén (Chile), Karymsky (Russia), Kilauea (Hawaii, USA), Kliuchevskoi (Russia), Nevado del Huila (Colombia), Rabaul (Papua New Guinea), Sakura-jima (Japan), Sangay (Ecuador), Santa María (Guatemala), Shiveluch (Russia), Soufrière Hills (Montserrat), Suwanose-jima (Japan). Posted by admin in activity reports, Colombia, eruptions, Galeras. In Colombia, ever-active Galeras volcano erupted in the evening of 2 January 2010, causing ashfall nearly 40 km away and producing a plume that reached more than 12,000 metres altitude (here’s an ash advisory for the eruption issued at 02:28 UTC on 3 January 2010, reporting ash at FL400, which is 40,000 feet/12,200 metres*). No injuries were reported, and people in the neighbouring city of Pasto, where the annual Festival de Blancos y Negros is currently under way, were reported to be calm. Evacuation orders for 8000 people were in force, and around 900 seem actually to have gone to the shelters, which is a relatively good response for the area around Galeras. 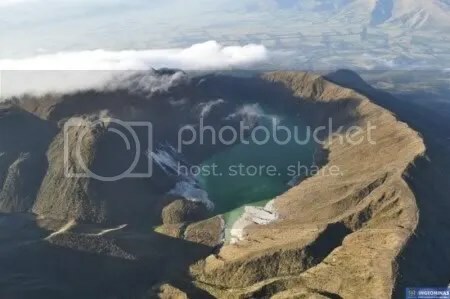 Marta Calvache of INGEOMINAS confirmed in an interview with Caracol Radio that the seismic signal produced by this eruption was the largest recorded at Galeras in recent months. The Observatorio Vulcanológico y Sismológico de Pasto reported that an explosive eruption of Galeras began at 19:43 local time on 2 January 2010. The detailed bulletin on the eruption, published by the Pasto observatory at 23:45 that night, reported that the eruption lasted 30 minutes, with the most intense phase lasting 10 minutes. Blocks and ash at high temperatures were erupted, starting fires on the forested flanks of the volcano, and ashfall was reported to the north-west of Galeras in towns up to 37 km distant. The energy level of this eruption, according to INGEOMINAS, was equivalent to that of the 17 January 2008 eruption (described by locals at the time as ‘the strongest in more than twelve years’), and was nine times greater than that estimated for the eruption of 20 November 2009. The alert level for Galeras was raised to Red during the eruption, and lowered again to Orange on the morning of 3 January. It was a clear night in Pasto on 2/3 January 2010, so the INGEOMINAS Galeras webcam had a good view of the volcano. As a result there is a great video of the eruption as it happened, available here (MPG, 16.4 MB). * Not sure how to make sense of a volcanic ash advisory? Click here for an explanation. For all our Galeras coverage: Galeras « The Volcanism Blog. Posted by admin in activity reports, Caribbean, Chaitén, Chile, Colombia, Concepción, Dukono, eruptions, Fuego, Galeras, Guatemala, Hawaii, Indonesia, Japan, Kamchatka, Karymsky, Kilauea, Kliuchevskoi, Manam, Mayon, Nevado del Huila, Nicaragua, Pacaya, Papua New Guinea, Philippines, Piton de la Fournaise, Rabaul, Russia, Sakura-jima, Shiveluch, Soufrière Hills, Suwanose-jima, United States, Weekly Volcanic Activity Reports. The Smithsonian Institution/United States Geological Survey Weekly Volcanic Activity Report for 9-15 December 2009 is available on the Global Volcanism Program website. The following is a summary and not a substitute for the full report. New activity/unrest: Concepción (Nicaragua), Galeras (Colombia), Mayon (Philippines), Piton de la Fournaise (Réunion), Soufrière Hills (Montserrat). Ongoing activity: Chaitén (Chile), Dukono (Indonesia), Fuego (Guatemala), Karymsky (Russia), Kilauea (Hawaii, USA), Kliuchevskoi (Russia), Manam (Papua New Guinea), Nevado del Huila (Colombia), Pacaya (Guatemala), Rabaul (Papua New Guinea), Sakura-jima (Japan), Santa María (Guatemala), Shiveluch (Russia), Suwanose-jima (Japan). Posted by admin in activity reports, Colombia, Galeras. INGEOMINAS has raised the alert level at Galeras to the second-highest level of Orange, ‘eruption probable within days or weeks’, following changes in the volcano’s seismic behaviour over the past 24 hours or so. ‘Tornillo’ type earthquakes have been particularly evident, a type of seismicity that has been characteristic of the lead-up to previous eruptions. As per standard procedure, an evacuation of nearby areas has been ordered.